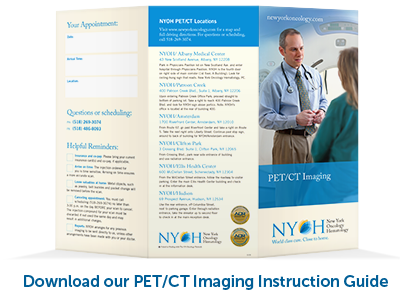 As a new patient at New York Oncology Hematology, we want you to feel comfortable and confident about your care. That is why we created the helpful checklists below, to help prepare for your first visit. We also ask that you also print out and complete a full set of patient forms before you arrive. At NYOH, we take the time to thoroughly evaluate every new patient, so your initial consultation may take 1-2 hours. We ask that you plan accordingly. New patient forms: Please fill out all new patient forms and bring them with you. Click here to print the forms.